They can be forgiven: the M8 makes as much of a racket as any SLR. 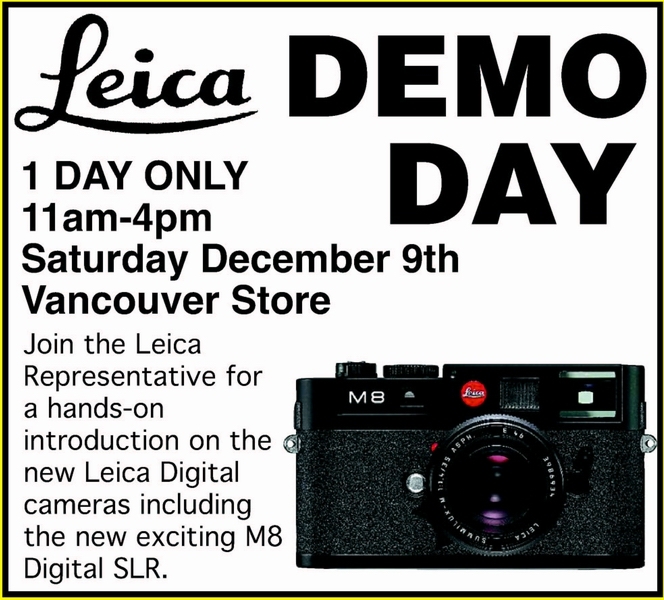 Exciting M8 and Leica's new digital SLR? That's really odd considering the Leica day in Vancouver was actually on NOVEMBER 9th.